Zen Mobile has launched its latest dual SIM handset in the country. Known as the M16, the phone is an entry level addition to Zen Mobile's line up of phones and offers a bunch of features. 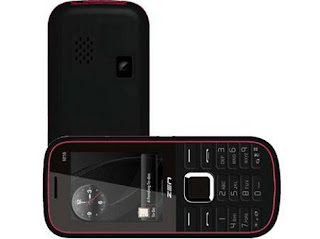 The phone features MP4 video playback support for wireless FM with a telescopic antenna. The handset also doubles up as a decent music player when required. The front on the phone is dominated by its 2.0-inch QVGA screen. There is a pretty much usable 1.3MP camera at the back. This should be sufficient for normal, day-to-day imaging. Other features include support for microSD cards of up to 4GB. The battery is rated at 1200mAh. Thanks to the powerful battery, the phone comes with an integrated flashlight (torch) as well. The phone is priced at Rs. 2,449 and is now on sale across India.